Tuesday’s Senate House discussion on the topic of ‘the future of the Investment Office’ centred on the topic of divestment. Over the course of the almost two-hour discussion, over ten students and several academic staff called for dramatic change to the University of Cambridge’s Investment Office, which oversees the university endowment fund’s main investment pot, worth £3.3bn. The office has become a focal point in the divestment debate. Speaking in proxy, two finance officials defended the office’s practices. One claimed that the investment office’s existing funding model has served it well over the last decade and that it “should be continued.” He added it has been implemented in other universities, including private universities in the United States with large endowments. The University currently operates under a “fund of funds” investment model, in which it invests in portfolios of funds managed by fund managers, instead of directly in companies. In his speech, the official claimed that the University must protect fund managers’ intellectual property, and that its ability to access these fund managers depends on not disclosing the companies in their portfolios. The majority of the student speakers, members of the pro-divestment group Cambridge Zero Carbon, focused their speeches around the University’s decision last June against full divestment, rather than the future of the investment office in particular. Several students called for Cambridge to display “moral leadership”. 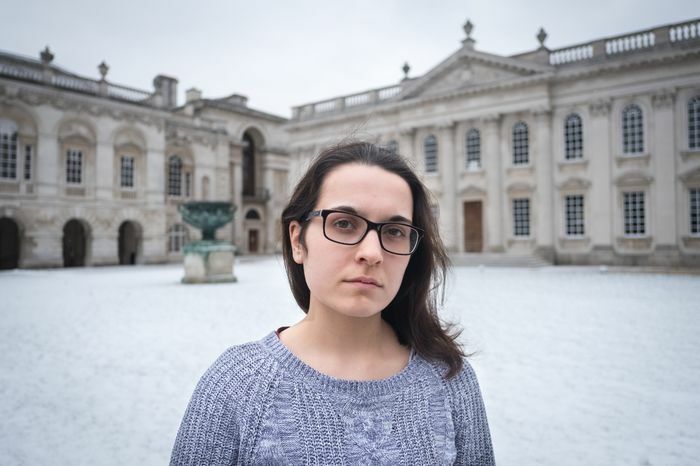 “This University which normally exists to serve the next generation proves itself happy to cooperate with those who pose the greatest threat to it”, said Beth Barghava, a member of Cambridge Zero Carbon and one of the three students who went on a six-day hunger strike leading up to the University’s Council decision last Easter term. George Breckenridge, a student representative on the Council of the School of Physical Sciences speaking in a personal capacity, echoed the sentiment, arguing: “The aims of the Investment Office must be fully aligned with the mission of the University to society both now and into the future. “That cannot and does not mean maximising economic returns – it means maximising returns to society”, he continued. Dr Scott-Warren described that in his observations of Council, “the overall picture is of risk aversion and revenue maximisation”. The discussion follows revelations last week that two members of the working group tasked with recommending the University’s position on divestment were simultaneously involved in proposed donations from BP and BHP Billiton (the latter proposed donation was later rescinded). Several speakers discussed the recent revelations. Cambridge Zero Carbon member Sophie Thorpe argued that they “completely discredit[s] the working group process, and calls into question the credibility of this institution”. Following the resignations of four senior members of the investment office in September, a search committee was set up in November to “look for a candidate who would be able to continue the current fund of funds model of the IO”, according to meeting minutes from the committee responsible for making the University’s key decisions, called University Council. Interim arrangements for the investment office have been put in place during the search for new members. The issue of a perceived lack of transparency in the Investment Office’s operations has gained traction particularly in recent months. Speaking at the discussion, CUSU Women’s Officer Claire Sosienski-Smith spoke on a perceived gap in accountability, calling for “an Investment Office that is accountable to the entire university, including its students”. In May, Cambridge’s divestment working group recommended in its final report that the investment office become more transparent about its investment processes through an annual report, with “information on environmental and social funds”, as well as an “informative website”. In December, five out of the 25 Council members dissented from an annual report citing their lack of access to information from the investment office. They said the lack of access unable to properly discharge their duties as trustees of the University. And last Tuesday at a Senate House discussion on the annual report, two of the dissenting members — Professor Ross Anderson and Professor Nick Gay — called for changes to the investment office’s current level of transparency. Sam Warren-Miell, another Cambridge Zero Carbon campaigner who went on hunger strike prior to the divestment decision last May, argued in his Senate House speech: “Make no mistake, those who advocate for the continuation of status quo… will be seen in history as utter extremists”.